Like many others, I came to this challenge with no idea what an 'orange tian' was. 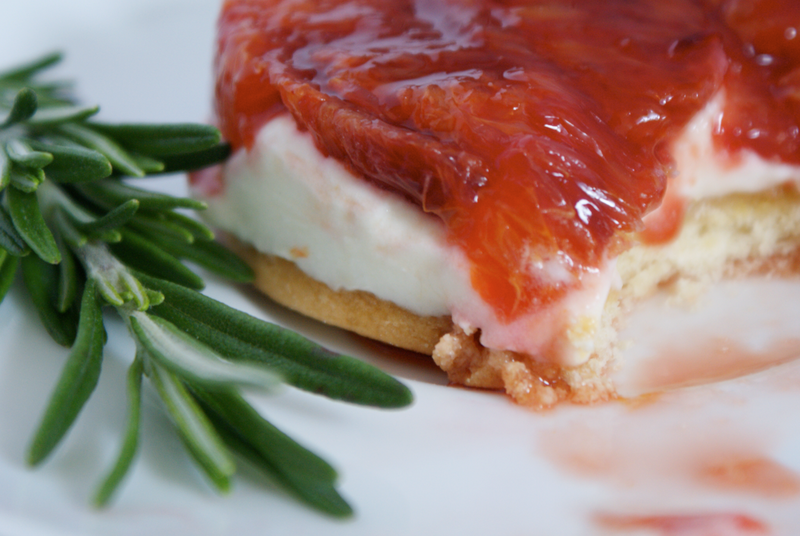 It turned out to be a lovely dessert - crisp, shortbread-esque pate sablee smoothed with homemade marmalade, smoothed over with scented whipped cream and topped by orange segments seeped in caramel. 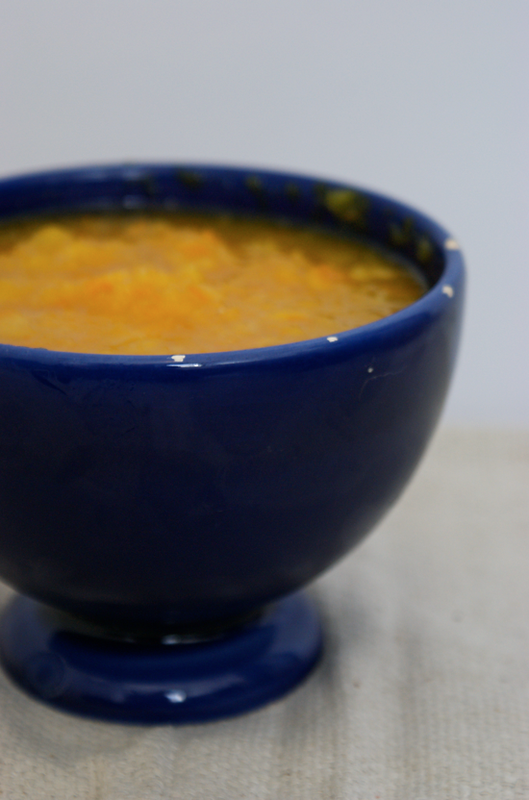 Despite having never tasted an orange tian before, I decided to play with the flavours. 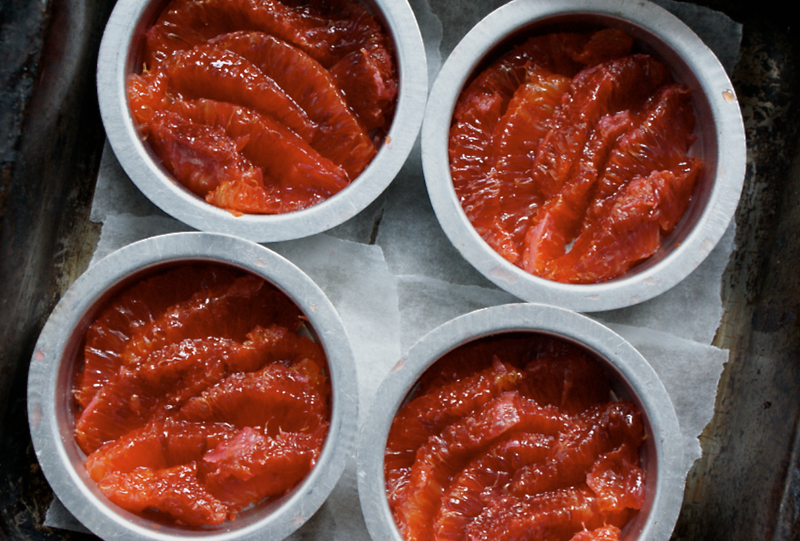 I swapped in blood oranges instead of 'blonde' oranges (as they call them here in Switzerland) as I simply cannot resist their flavour and I thought they would look stunning in the dessert. I also decided to be 'daring' and incorporate rosemary. 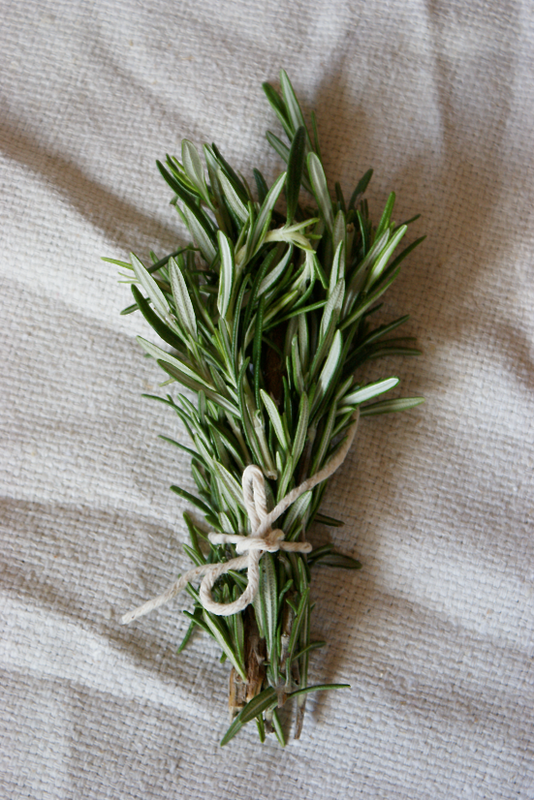 I absolutely love rosemary, but I usually only use it in savoury dishes. I had a hunch it would work well in the cream layer of the dessert. And so my mum walked in on me standing in the kitchen alternately delicately chewing a leaf of rosemary and a segment of blood orange. I was very excited when I noticed that the recipe included making marmalade. I haven't made any jams since I used to as a child with my Grandma. Now I think back to it, I'm not quite sure why I was often left in charge of a big pot of boiling sugar, standing on my little stool by the Aga with a very long spoon. Still, it's one of my most treasured memories of my Grandma. 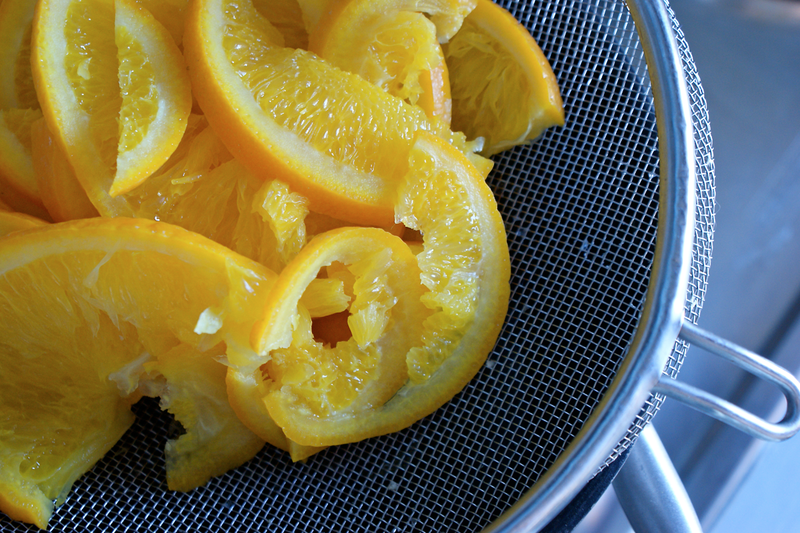 The resulting marmalade is really very tasty. I was worried that the pith would still be bitter despite the multiple blanchings, but it mellowed out in the end product. 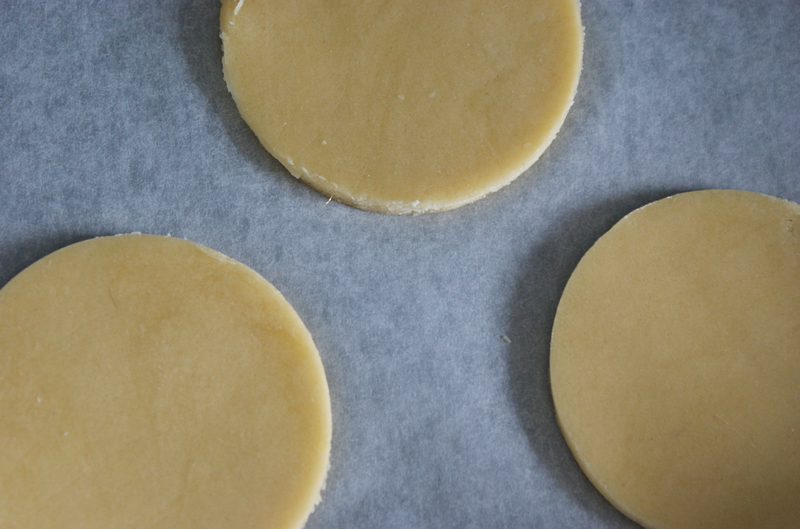 I decided to try and not use pectin and try to use pips instead. Unfortunately my oranges didn't have any pips, but I found a lemon in the fridge and used those instead, tied in a little square of muslin. It firmed up beautifully. Another new element was the pate sablee (my accents don't seem to be working, so excuse the lack of them). 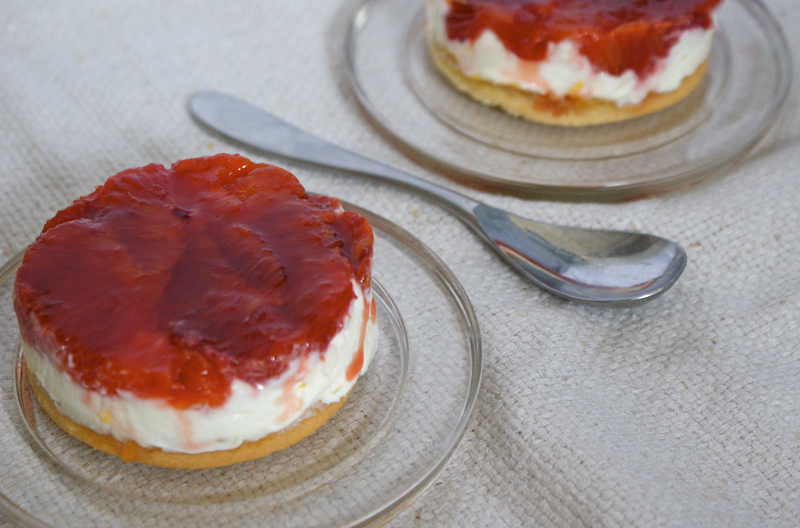 It's the richest of the french pastry crusts and really very tasty. The method was unusual too - you have to beat the egg yolk and sugar till pale and creamy before adding it to the ice cold butter and flour. I think it would be quite lovely just as biscuits. Happily my mum had some old crumpet moulds (which, believe me, are going to be used for their original purpose soon) which I could use as moulds and to cut out rounds of the pastry. I managed to have a bit of a baby-swap with the pastry - I took out the remaining pastry from my Roasted Rhubarb Tarts and used that instead of the sablee! I did think they looked different to others I had seen on the forum but it wasn't till the next day when I spotted my pate sablee dough still waiting patiently in the fridge that I realised my mistake. For my tians I used our absolute favourite cream in the world, which stars above. 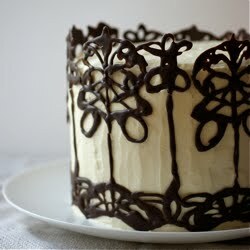 It's unbelievably thick and decadent and has a wonderful flavour that I can never put my finger on. It added a lovely richness to the dessert. 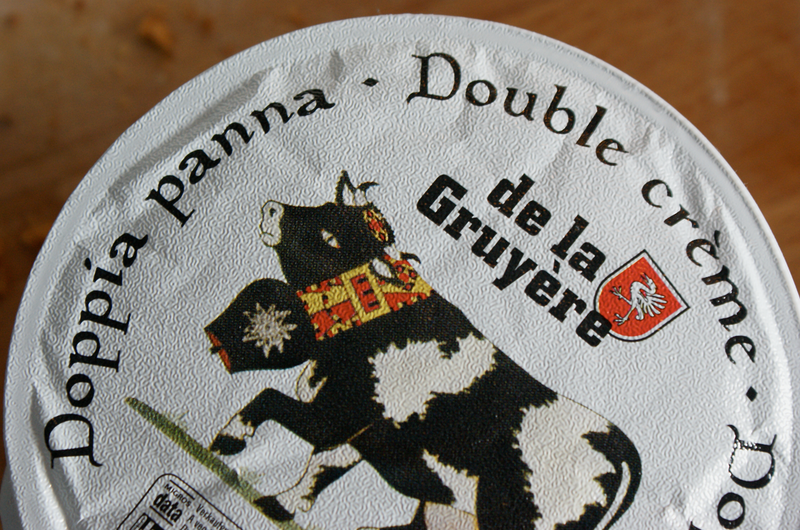 On another note, I've always loved the Italian for double cream - doesn't doppia panna create the image of thick, luscious cream dropping off a spoon? I submerged my spring of rosemary in a sea of the beautiful thick cream and heated it gently to infuse it with the flavour of the herb. It then sat in the fridge overnight before being whipped. When I took it out this morning, I was slightly worried - the cream had set slightly oddly and had small lumps. It seemed to come together when whipped, however. I added a little extra plain whipped cream to smooth it out. I don't think I got quite as much volume on the rosemary cream. I also found I had to split some of the fatter segments in two to get a nice even layer when placing them in the bottom of the moulds. I really enjoyed assembling the tians, with the different layers. I used the tip off the forums of grating down the edges of the pate sablee to fit the moulds where it had spread during cooking. Amazingly they also easily popped out of the moulds - I just flipped them over onto the plate, peeled off the square of parchment and eased them out. They're really tasty - my mum went to try one bite and ending up eating an entire tian. She then spent five minutes going 'MMMMMNN', describing the aftertaste in detail and occasionally saying 'delicious' at random. A success, I feel! I don't have time to type all the recipes out today, apart from my changes, but you can find everything you need on the Daring Kitchen website - just scroll down a little and it'll be there. My changes - I made half measures of everything except the marmalade. I didn't use pectin in my marmalade, just put some pips in some fabric and heated it for slightly longer. I swapped in blood oranges for the segments and caramel. For the rosemary cream I gently heated the 3/4 of the cream with a sprig of rosemary then left it to seep overnight in the fridge before whipping the rosemary cream and then adding the gelatine. I then beat the remaining 1/4 of the cream and folded that in. Your tian looks absolutely beautiful! I love rosemary in desserts, and with lemon, so I bet it was fantastic with oranges. Oh, and the cream! You're right, it does sound much better in Italian! These were absolutely delicious! The flavours complimented each other so well. I grinned for a full ten minutes after I had eaten one. It does look stunning, and the addition of rosemary sounds great. 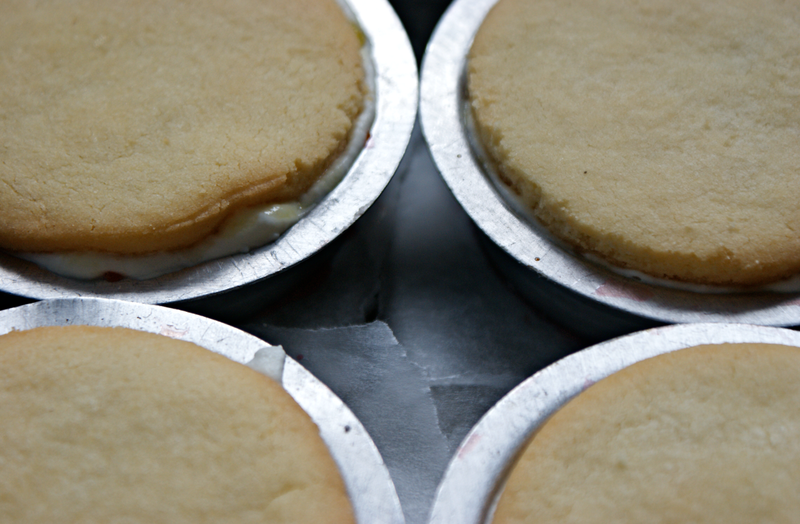 Oh your tians are beautiful and they sound lovely with that amazing cream infused with rosemary. And my husband kept mmmm-ing as well. What a wonderful dessert it was and yours look extra good! They're beautiful. You've been truly "Daring" in this challenge with the rosemary. Unusual flavour but good, I think. Wow, yours is one of my favorites. It really looks delicous also i'm real jealous off your photography skills. The rosemary was inspired! You're much braver than me - definitely daring. Your tians looks absolutely beautiful. I'm imagining the combination of the rosemary and orange - I think I'll have to make my own now. :) Mmm. Doppia panna does sound lovely. I don't know Italian (it's on my to-learn list), but it's so beautiful. Like French, it always makes the food sound that bit more delicious. You have such a lovely blog. I'm very jealous of the views from your windows! What a nice Tian ! I love the sable when they are uncooked, they look so perfectly round. I am discovering your blog ! And it seems that you are very creative ! Pictures are beautiful. what a great idea using rosemary, i must try that next time! beautiful photos! 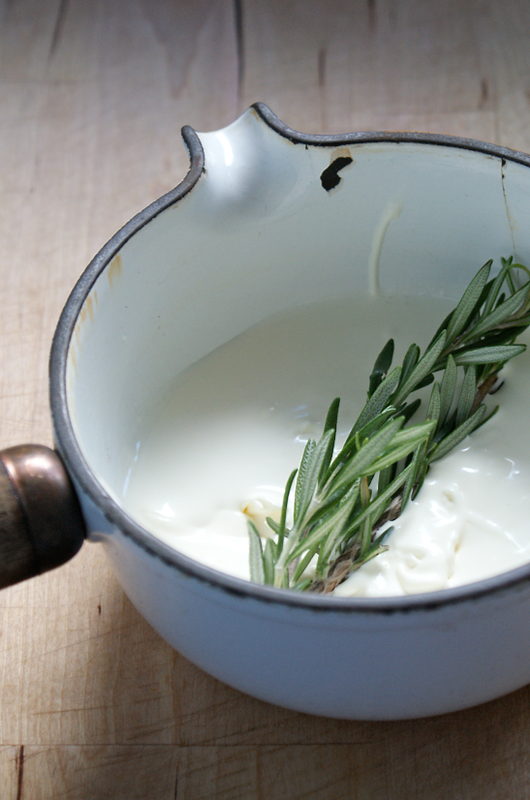 I love how you infused rosemary into the cream. Like you i too didn't know what a tian is and indeed it is tru it was a yummy dessert. Ciao Emma ! I love your idea of the rosmary it must have been wonderful !!! What a nice combination with the rosemary! 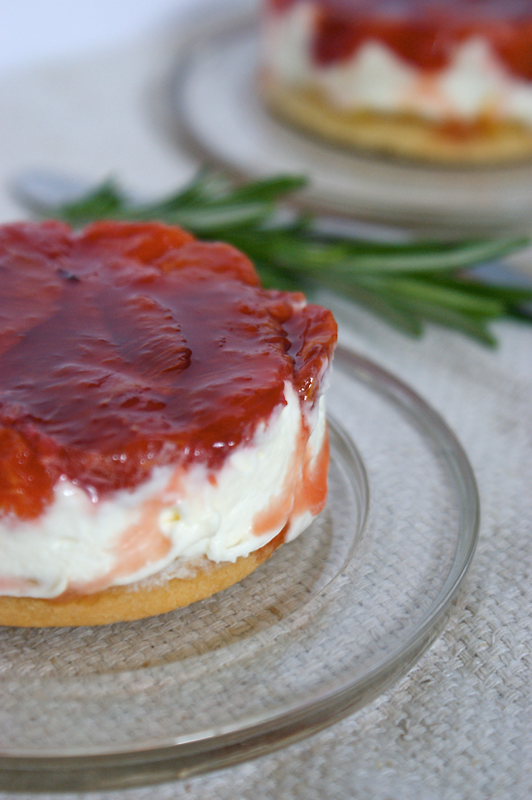 I love rosemary in desserts so will definitely have to try this. Beautiful photos too. What a lovely combination you chose! Your tians turned out beautifully! Very beautiful looking tians, and an interesting idea to combine it with rosemary. Wow! The colour of the Blood Oranges is simply spectacular. I've yet to try one, but some are waiting patiently in my fridge =D. Really beautiful. It looks like you had some lovely heavy cream to work with. Nice composition - and I love this rosemary-in-double-creme picture! I love the vibrant color of the blood oranges! Beautiful tian! Your combination of flavours sounds amazing. 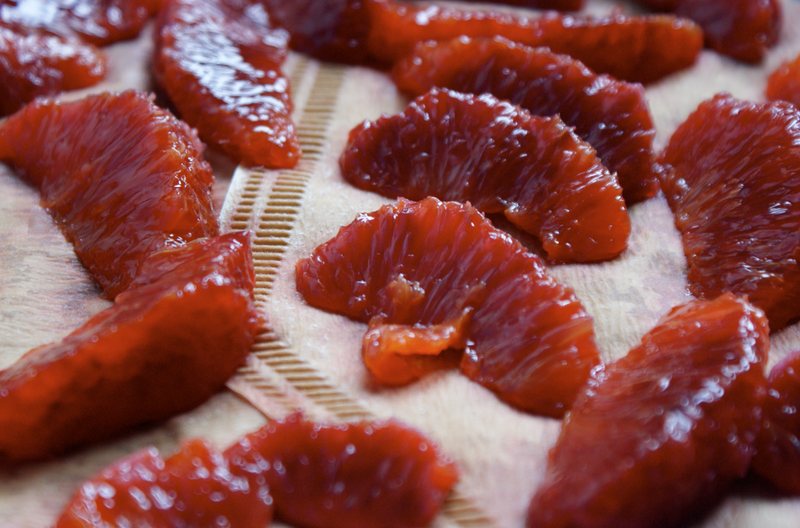 The next time I make the tian, I'm going to have to try blood oranges! THIS, looks absolutely AMAZING! I am going to go find this recipe and make this as I was just the lucky recipient of a huge bag of blood oranges from a neighbor. So many I was just going to juice them which would be a waste now that I see this. Your blog is beautiful! I will be back! Ooh blood oranges and rosemary, very dramatic! I think most herbs can be used in desserts (well, except for maybe dill) and rosemary does go extraordinarily well with citrus. Your tians looks absolutely delicious! I really love that you added rosemary. Great job on this challenge!